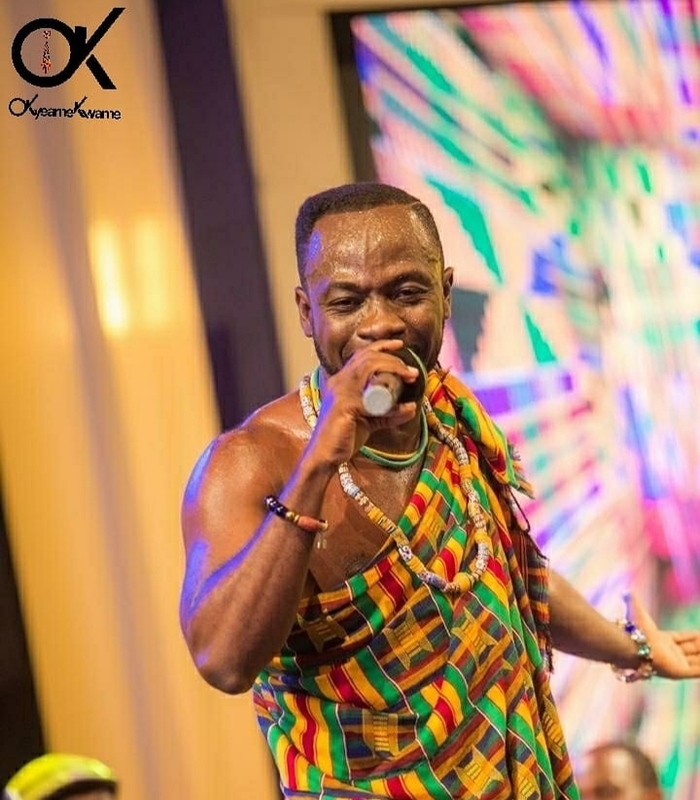 Ghana’s most versatile artiste Kwame Nsiah Apau popularly known as Okyeame Kwame has lauded the young musicians of doing far better in the music Industry than Davido and Wizkid from Nigeria. The senior musician has been seen on a radio tour for some days now talking about a wide range of issues relating to the Ghanaian music industry. The 'Woara' hitmaker on the tour is mainly on the talk and promotion of his yet to be released album dubbed ‘Made In Ghana‘. The album is a ten-track album which features 10 musicians from across the ten regions of Ghana. The theme song ‘Made In Ghana’ which features Kidi has already been released and has so far received massive airplay. In a recent interview with Dj Advicer on Happy FM monitored by Remedi Entertainment, he said singers like Kidi and Kuami Eugene have better voices and can sing better than Nigerian artistes like Davido and Wizkid who are held in high esteem by some music fans in Ghana. “Because we stopped singing for about 20 years and went for rap, we went to Nigerian to bring in their musicians who were doing singing but today we have very good singers like Kidi and Kuami Eugene who sing better than Davido or Wizkid,” he said. According to Okyeame Kwame, before 2face, Wizkid and Davido gained prominence on the Ghanaian music scene, Ghanaian were singing great melodies. “Now that we have young acts like Kuami Eugene, Akwaboah and other musicians doing authentic music, Nigerian music is gradually fizzling out of our system,” he added. He further disclosed that, he is not surprised Nigerian music is vanishing out of the system.